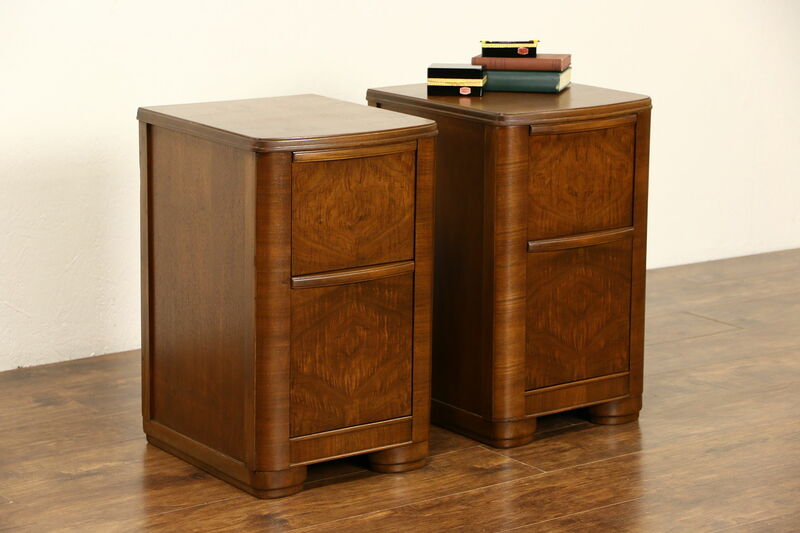 A pair of Art Deco period nightstands from about 1940 are walnut with matched burl. The restored satiny finish is in excellent condition on this American made vintage furniture. Drawers have dovetail joints. Measurements are 15" wide, 17" deep and 24 1/2" tall.